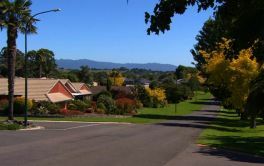 Retirement Villages, Rest Homes and/or Aged Care facilities, Tauranga. Tauranga - Retirement village and aged care living at it's best. Over 30 aged care facilities and retirement villages are scattered in and around Tauranga - with more planned for this idyllic spot. With the great views and slower pace of life, Tauranga is becoming the popular choice for people to retire to. Award winning aged care and expansive lifestyle and retirement village options, Tauranga has gained a reputation for its well-known for its blue skies, warm climate, sparkling harbour and relaxed lifestyle - the perfect accompaniment to a life of retirement. # 1 of 35 facilities. Malyon House Mt Maunganui is situated in Heath Street - just a few steps behind the Central Parade Shopping Centre. We are a friendly aged care facility catering for the needs of our 57 residents. We are care for Rest home, Hospital and Palliative Clients. We can also provide daycare; please enquire as we only take a few clients weekly. # 2 of 35 facilities. # 3 of 35 facilities. # 4 of 35 facilities. # 5 of 35 facilities. # 6 of 35 facilities. # 7 of 35 facilities. OMOKOROA COUNTRY ESTATE. 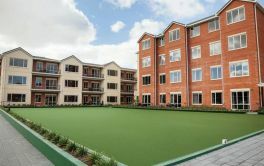 A picturesque Retirement Village with spacious homes and extaordinary gardens. It's the place to be! # 8 of 35 facilities. # 9 of 35 facilities. Hodgson House Village will be a place to get the most out of your retirement. Recognising the individual needs of our residents and to promote a friendly and comfortable environment is an important part of our philosophy. You won’t have to worry about maintenance - it’s all taken care of. Omokoroa in the picturesque Bay of Plenty is home to Acacia Park, part of the CHT network of resident care locations since 2015. Beautiful views of the Kaimai Ranges and Tauranga Harbour, a relaxed atmosphere and a sense of home are enjoyed by residents.